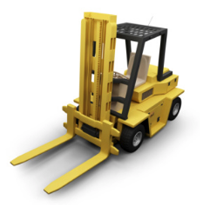 Telehandlers, or telescopic forklifts, are mainly outdoors. 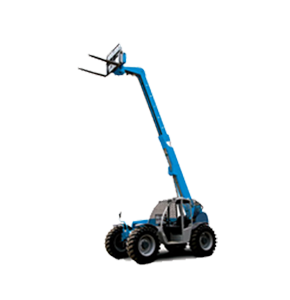 Crane-like features including a telescopic arm able to lift items to a much greater height than typical forklifts. Powered by LP, gas or diesel & drive on solid pneumatic tires. Perfect for agricultural projects. Max lift capacity of 10,000 lbs.